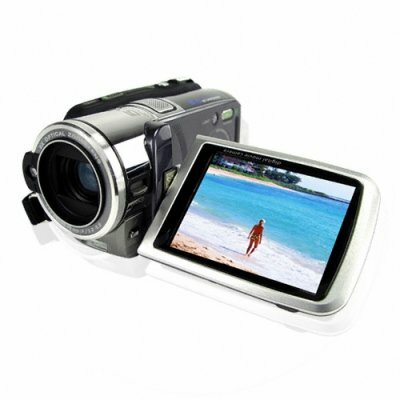 Successfully Added Professional HD Video Camera to your Shopping Cart. 720P HD Video Camera with still image capture at 5 MP (native)- the perfect solution to todays burgeoning high defintion market, a great HD camera at a even better wholesale price. Simply put this is one of our best video cameras, with 720P HD capture, still image capture up to 8MP (with interpolation) and a great range of contributing features. Take video at night using the cameras built in night mode, then if it gets really dark turn on the lamp for extra light, get closer to the action with macro mode enabling focus at just 50mm- great for insects and wildlife. It's not until the simple process of getting the video off the camera and putting it on a TV though that you see this units most impressive feature - HD. With a high definition recording the picture fills the entire screen with vibrant, clear imagery that must be seen to be believed. Order yours today and see the difference and all for low wholesale price - only from Chinavasion..
Comprehensive Software Solution for Editing etc. Ottima videocamera...oggetto molto bello,compatto e leggero.Consegna molto rapida(4 giorni lavorativi).Peccato per tassa doganale un po'elevata pari a 26,00€.Consigliata!